(15 minutes earlier in winter months.) Our Net Contnrol Operatorss KA2HPG, KJ4TD, N0AZA, K5WWT, and K5TGS welcome you. We are always looking for Alternate NCOs. If you would like to be an alternate NCO please contact our Communications Manager - Fred, KA2HPG. Susan and I are in the process of trading up from our pop-up trailer to a class B. As I consider all the modifications I will be making (including ham gear), I wonder what fellow ham RVers have encountered regarding RFI between ham radio and devices such as TPMS systems. Specifically, I noticed that a lot of TPMS systems operate on 433 MHz and wonder what would occur when I transmitted 45 watts on 442 MHz. Other systems include Cellular boost, wi-fi boost (probably not an issue since they are operating on VERY different frequencies). bulletin. My old pass word was still good. Thanks for info on dues. Still planning on being at rally. Hi Dan, Glad to have you on the roster! Although I hope to attend Quartzfest some day, I have not been able to get over there yet. We have a week long Christmas and New Years gathering in Birmingham Alabama each year with our 5 kids, 11 grand-kids, 2 great-grand-kids, and uncles, aunts, cousins, nieces,etc, and it is just too far for us to drive in the time left after January 2nd. I also have used an Eagle One mounted on the back of my RV and it has performed well for me over the last 9 years. I look forward to meeting you at a rally. See the Spring Rally page for details. Your Rally Hosts are Hank and Selene Montgomery. Each Thursday at 8:00 PM Central Time. On the W3TOM-R EchoLink Repeater. We now have a weekly net available to ANY Amateur Radio Operator holding a Tecnician class or higher license. EchoLink makes it possible to participate in an "On-The-Air" radio net even if you don't have a radio. See information on this website HERE. 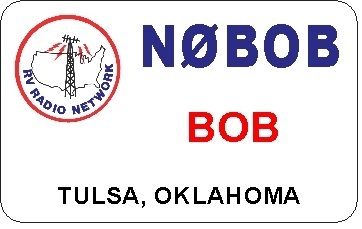 We thank fellow RVRN member Tom, W3TOM, for supporting this net on his EchoLink repeater. Thanks to Charlotte and Bill Kraft &hyphen; Pictures from the rally can be found <HERE> in a new photo album section that is currently under development. Some pictures are unedited leaving them quite large so they may load slowly. Contact Marshall to restore your membership. I know Hank and Selene have been working on plans for another great Spring Rally. Hope those that can attend have a safe trip. I know you will be shown a good time. They have put a lot of effort to see that you enjoy yourself. I regret that I cannot attend as that is a beautiful, historic area with much to see and do. Looking ahead, now is the time to make plans to attend the Fall Rally. 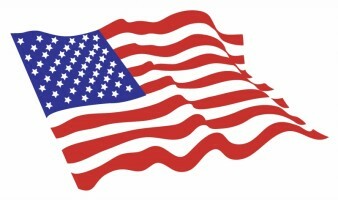 The Fall Rally will be in Superior WI September 11 through 14, 2019. Camping fee will be $40.00 for the week including water and electric. A Dump station is on the grounds. Plans are a tour of the Cirrus Airplane Factory. I will need to know who will be attending the tour so Cirrus can have a head count for accountability. For those not familiar with this plane, it is built with a parachute on it. After the Spring Rally, more information will be forthcoming. Go and enjoy the Spring Rally with Hank and Selene!